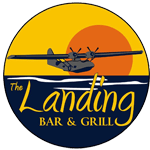 Hip hip hooray for Wednesday at The Landing!! $5 martinis, margaritas & sangria for everyone! So guys come out and buy the ladies a few drinks at a great deal! !